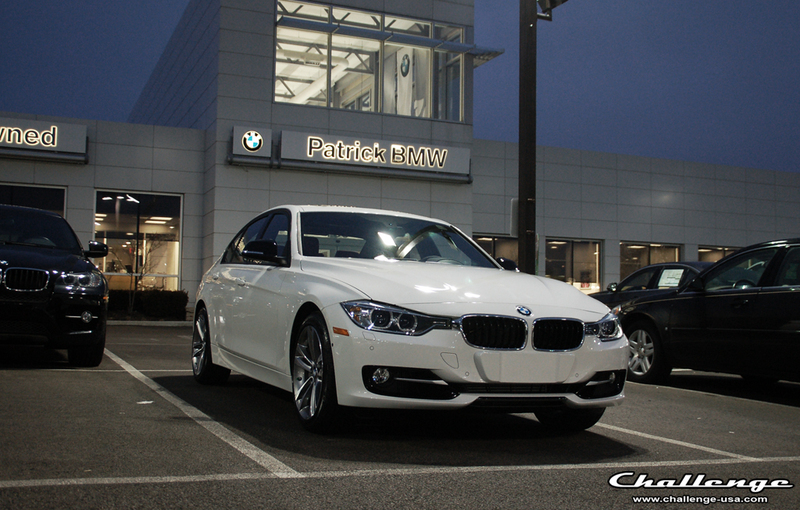 A few weeks ago we decided we wanted to pick up a new F30 335i Sport 6MT. We knew it would be hard to find an Alpine White with 6MT especially as most the launch cars tend to be autos. As luck would have it, Eric Maniya at Patrick BMW in Schaumburg, IL was able to search the national incoming launch order and trade for just the car we wanted! Of course being a launch car it has some new toys like all the camera and tech package. We'll be spending some time in and around the car over the next week so we can point out any of the new or interesting features on the car that most magazines etc may not point out or realize. After that, we start parts development! Here is a quick shot i snapped last night before the rain started to fall. I'll post some more yet this week. What parts are you looking to develop for the F30? Full exhaust and down pipe are first up followed by carbon front spoiler, rear diffuser, trunk lip spoiler and possibly mirror caps. Can't wait to see what great products you guys come up with! Can't wait to see what you guys do to the car! nice...can't wait to see what you guys come up with. any news on the DYNO?? ?